Thanks to all of you who have been patient while we’ve worked out the kinks on my new site design. Switching a site’s look and functionality takes a lot of work by people who are waaaaaaay smart about these things. I am NOT one of those people, as evidenced a couple weeks ago when, while tinkering around with the site’s nuts and bolts, I managed to send out over a hundred links to my blog in less than a minute via twitter. The internet is hard. I have to thank a bunch of people who helped me, namely Andi for doing all the coding and design work, Maria for designing the header, and Andrew for helping with the troubleshooting. Andrew spent a good part of yesterday going through code, trying to figure out why CommentLuv wasn’t working. And he fixed it! Yay! I love clicking through to everyone’s blog posts. If you find anything else that isn’t working the way it should, please let me know! So, what ARE all these changes for? Well, I loved my old design but I wanted something that was a little more organized and easy to navigate. I wanted a place to put up my fun hair posts that I do for other sites. Now it’s easier for your kids to find all of Annie and Maddie’s videos! The section that I’m really excited about is photography. You all may have noticed that I’ve started posting a daily photo. This is really reminding me to pick up my camera every day, and I’m so happy about it – I have it with me at all times, and I am finally back in the groove where I’m taking pictures of all the little things. I’m also going to be posting photography tutorials (starting this afternoon!) with tips I’m learning in my classes. I hope you all like them. But enough about my site. Let’s talk about me! One of the things I promised I would change this year is to get in front of the camera more. There are so many occasions where I took tons of photos of Madeline and Mike and the rest of our family, but you would never know I was there. I was always making an excuse – I didn’t have makeup on, I felt fat, whatever. I regret that every day. When I was in New York last week, I had two different photo shoots. Like I’m Beyonce or something! My friend Casey did a session with Brittany and me and the pictures are so much fun. The other pictures were taken by my friend Adam’s wife Suzanne. All these pictures make me so happy. Granted, Casey and Suzanne are amazing photographers, but EVERYONE should make the effort to get in front of the camera more often. It doesn’t matter who is taking the photo – it could even be on a timer – as long as you’re in front of the lens. As I’ve said before, you’ll never regret having pictures of yourself. You look gorgeous. And, so true. I didn’t let them take many pictures of me with Cora, I at first said absolutely none, but granted a few. I didn’t like pictures. It’s a regret now. You just never know. So so true! I love taking pictures but I am hardly ever in them…..yep, I use the all the excuses. Your pictures are GREAT! It’s true that pics often are undervaluated. It breaks my heart. Because when loved ones are gone, pics might be the only thing left. Not to compare to the real thing, but it’s as close as you can get after they have left you. What fun! (and a good reminder for those of us who usually take the pics). I just wanted to say that you & your mom (and Miss Annabel) have beautiful hair. I feel like the photographer is always the one left out of the pictures. I definitely have more pictures of my husband with the baby than me with the baby. That needs to change. You look great and I love the Central Park pictures. You are so right. Someone asked for a photo of me recently, and I was hard pressed to find one that wasn’t ancient (and/or in a hospital bed clutching a newborn and looking ghastly)! I must make more effort to hand over the camera every so often. I cannot get enough of Annie’s smile! It makes my heart smile. What a babydoll. You are so right, and these are awesome shots. I love the first pic of Annie in the grass! She has the best look on her face! I need to get in front of the camera more, too. You are so right about getting in front of the camera. I look back at times when I thought I was too fat or too whatever to have my picture taken and I so regret it . I love your photography and one day Annie will treasure those pictures. Great photos! I love how all 3 of you ladies all have the same posture in the pic by the fountain – related, much? Oh my gravy – that Miss Annabelle is just one hunk of preciousness. She’s just scrumptious! Love that you’ve added the photo o’ the day ~ thank you! LOVE all the pictures!! Annie is so photogenic – love her big grin. She’s a beauty. I saw Casey’s pics on Flickr and thought they were fantastic, but those with Annie and your mom… wow. Those are really, really great. How beautiful are you. I saw all of Casey’s photos on flickr yesterday (what an amazing photographer she is), they all looked so fun and amazing. She had two very beautiful subjects to work with. I need to get on the other side of the camera more often. So often I come back from something, a trip, an outing, whatever, and find I have hardly any pictures of myself. I need to change that too. I love the ones of Annie in the grass, but by far the best was the one of you both jumping on the bed. Print it off, fairly big, and frame it. Put it up somewhere prominent. Remember on a daily basis that you are more than a (brilliant) mum, you are a fun loving vibrant person. Then do the same for Mike, catch him unawares doing something stupid and immature and daft (but without Annie). Sometimes when you grow up and become parents and go through hard times it’s hard to remember that you were ever young and daft and laughed for the sake of it. Yay for the new site! I can’t wait for the photography tutorials. I’m new to expanding beyond just pointing my camera and snapping a picture. Trying to be more creative and learn more about my camera. I can relate sooo much to what you wrote about being in pictures. I wrote about it last week because I realized my kids were going look back at tons of pictures of themselves with other family members and be all ‘where’s my mom?’ I think everyone should get in front of the camera more. Love the pics of you and Brittany. So fun. I have been trying to get in more pictures too. I want to have the reminders of our whole family being at an event, not just my kids and my husband. I love the new look of the site, and especially the picture of the day. I can’t wait to read the photo tutorials. Love your new blog design – everything about it is just so you and PERFECT! Absolutely LOVE the pictures. You MUST get yourself in pictures more often – we are often our own worst critics and I’m telling you, you are BEAUTIFUL from head to toe, inside and out! You are so right….you’d almost never know I was at certain events since I’m ALWAYS the one behind the camera. I love photography and don’t always love being IN the photos. Combine that with the fact that my husband never thinks to just pick up the camera and take a few shots when the boys and I are doing random things together and I’m not in many pictures. I should get him his own little pocket camera for mommy-shots. I so agree! Too often, when looking at my family pictures, you would think I had died, or something, because I am never to be found! I have made a concerted effort to have people take my picture more. I want to be remembered, too!! These pictures are amazing!!! I have to be brave like you and get out from behind the camera. I really don’t have a lot of pics with my kids and I regret that!! They are getting so big and I can’t go back and put myself into their baby photos. We are the most critical of ourselves. We find flaws in the greatest of pictures. I think I’m going to follow your lead and get in front of the camera more often!! Thanks!! That’s what happens to me as well. Always behind the camera, never in front. Love your new design, by the way!! You’re not such a bad photographer yourself, Missie!! I saw some of Casey’s pictures and was very excited to see you in front of the camera! You are way pretty. (I know. I hugged you.) Very excited about the photo of the day! I have to say, getting in front of the camera is very healthy and invigorating. I have more pictures of me from BlogHer than I have of me over the past six months combined. I look very happy in them. I am happy a lot and I’d like to remember that. Thanks for the reminder to BE the subject of the pictures more often. Sometimes I look through iPhoto and wonder if if I’m really apart of this family or have just been hired as their photographer. I’ll have to start taking more pictures of myself via bathroom mirror, because that’s always classy, right? it’s so nice to see pictures of you. you look great! i love the new blog look, too. so many nice changes. i’m happy you are taking classes in something you love. Didn’t anyone ever tell you NO JUMPING ON THE BED?? Bad! My favorite feature of your bloggy redesign is definitely the daily photo. It’s like a little bonus post! Glad you got your site up and running smoothing!!! I was always forgetting to get pictures of me with our son… so finally I’ve stopped with the “oh next time” or the “I’m too fat… give me a month” excuses. I’m still too fat… and my month has turned into monthS… but I am making memories of a lifetime with my little family. My mother died when I was six, and there are very few pictures of her. I’m not sure why, but probably because of the reasons you said. There is only one picture of the entire family together and it is a snapshot. Because of that, I decided years ago to be in the pictures no matter how I felt. For my children. You go, girl! Ha! You’ve obviously not seen some of MY photos:) Great pictures with Annie and your mom! I’m really looking forward to the tutorials!! I love the second to last photo. So pretty! Fabulous pictures! You look great and I loooove the ones of Annie in the grass!! I have been reading your blog for a long time. Through reading it I have become a better mother and tried to enjoy every moment with my small children. I started a blog to showcase my crafts a couple of months ago and recently joined the BlogHer network. This morning I was pleasantly surprised to see a beautiful face in the ad space, it was your sweet Maddie. I had to come and tell you… it made me feel guilty for never commenting on your blog. Through your writing you have made me a better mother, it’s about time I said thank you. Two little monkey’s jumping on a bed……….. Terrific photos. Love the bed-jumping! The fountain photo is lovely. GREAT pictures! I love the 3-generation pictures with your mom. When I first put my daughter down in the grass when she was about 6 months old, she did not like that grass at all! She whined and picked up her feet and tried to roll away from it. It was so darn cute! But……Annie seems to like the grass, and she looks adorable laying on the lawn! Truly amazing photos and I absolutely LOVE the one of you jumping on the bed. Those are all great pictures! Love the one of you, your Mom and Annie in front of the water fountain, absolutely precious! And, you and Brittany are so freakin’ gorgeous!! I love the family pictures. Good luck with your goal to get in front of the camera. Annie will love those pictures when she gets older. You can almost feel how happy and loved Annie is in her pictures. What a little sweetheart! Willette Photography and Design is offering a “finding your joy” – getting yourself in the pictures too, workshop online. I did the previous “finding the joy” of photographing your kids and loved it. It’s cheap – $45 and it is a great online workshop over 3 weeks. I think you would really like it! Glad you worked through all the kinks — I know that can take some time. Oh! The pictures of Annie in this post….are amazing. She’s sooo sweeeeet:) And jumping on the bed just looks so FUN. I’m going to have to do that today. I am rarely in my photos. I need to change that. But yea, it’s always because my hair is a mess, I feel fat, etc etc etc…I need to stop that or else many many years from now….people will wonder just who I was. Annie is so freaking adorable. Such a little chunkey monkey! I have been trying to do better about getting on the opposite side of the camera as well. When we were getting things ready for my oldest daughter’s graduation party, and she was trying to find pictures of us together, and it was tough, there were hardly any after she was about 7-8 years old. It’s like I fell off the face of the planet. Then I realized, that it was me. I had deleted all of the “bad” pictures of myself from the digital camera. Prior to that it had all been film. No more delete button for this Mama. At a family event maybe a year ago, my 93 year old great auntie yelled at me for backing out of a photo. She told me, you may think you look (insert negative comment here), however, when you are old like me, you will look back and regret not being in photos. Because darn it, when you are 93 years old, 30 year old you looks AMAZING. Truer words have never been spoken. Since then? I’ve tried really hard to only say, I look great in that photo. Is hard. But at least I’m trying. love them! especially the ones of you, your mom, and Annabel. thanks for sharing! I love an awesome blog makeover every now and again – looks great! True, true, true. Photos are so important. Awesome new design! Annabel is a scrumptious, scrumptious baby. And so happy! Look forward to seeing more of your photography. What fun pictures. I love this post only because I am NEVER in the pics, and I do as well regret that. We went to Disneyland this past weekend and I made sure to be in a few photos and not always be the one taking them. I was just talking about this the other day. I went on vacation for a week, took over 900 pictures & there are approximately 4 of me. Vowed to turn the camera around on myself more, after that. Considering I will be spending several hours with Miss Shireen tonight at the great Indiana State Fair with my camera? I agree. We are trying to adopt and for our portfolio we needed pictures of “me” and I had very few. . I have to say I hate getting my pix taken. and have very few of me and my 3 year old because I am fat – not “feel” fat, I am. I keep saying when I lose the weight. but that day may never come, so I will try – thanks for the reminder Heather. So tell me, I follow in Google Reader. If I have the main site linked up will I get the other tabs in Reader (like the videos, hair tutorials, etc.) or do I need to link up each individual tab? You’re right. The internet IS hard, yo. did you get the hair tutorial I posted? Your question is close to breaking my brain. hee. Everything looks lovely! 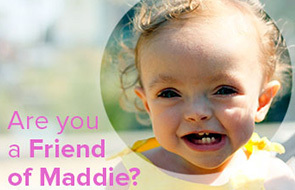 I follow your blog every day and Maddie is constantly on my mind. I hope you don’t mind me bringing her up… does it make you sad to hear people say that? I just wanted to let you know that there are so so many people in the world loving your two beautiful babies, and wishing you the best for the future. Heather, I LOVE that your taking posting photos everyday. I started a challenge earlier this year to do that, and not only have my creative and technical skills grown tremendously, but I have just plain loved getting behind my camera everyday and taking photos of whatever my heart desires. There’s nothing like it! I can’t wait to read your tutorials! I’m sure they’ll have many helpful hints. I don’t comment that often, though I read a lot. I had to comment this time, though, to tell you that for the first time, in some of the pictures, I really saw Maddie in Annie’s smile. I don’t know if it’s the spark in her eyes, or what, but I looked at these, and truly thought “hey, she looks a little like her big sister here!” Both of your girls are beautiful; these pictures are really terrific. You are an absolute natural in front of the camera – I really love the one jumping on the bed and putting on those big lips and the ones of you three round the fountain and the ones of Annie in the grass. In fact pretty much all of them! You are so right – I hardly have any photos of myself with my two children which means they won’t have them when they’re grown up and I destroyed a lot of pictures when I was a teenager. How I regret that now. Really loving the new look site. And those twitter links – didn’t mind a bit. In fact I read some of them again and it reminded me of all you’ve been through again. Love the pictures! The fun ones are cute and the family ones are priceless. I love the pics, especially the one of the 3 of you on the bridge. My hubby and I have a pic on that bridge. It’s one of my favorites of us and everytime I see that bridge, it pulls at my heartstrings. Get in front of the camera more often is such good advice! Thanks for the reminder. I too am always left out of the photos – mostly because I am the photographer, but also because I look bad in 99% of photos taken of me. But still, I regret that when I look through the tens of thousands of photos on my computer that I am not in most of them! Oh, and you look great in front of the camera! I love the pics of Annie in the grass, the lawn is swallowing her whole! And her smile! And if there was some way that I didn’t look like the dog’s breakfast in photos I’m sure I’d be out there more often, but yeesh! Loving the new look, all the sections, all the sparkle… I could get stuck here for awhile. Gorgeous photos, of such beautiful people. Thanks for sharing pictures of yourself.